We’ve got a wood-fired take on a classic NY style pizza. Homemade dough, topped with a delicious homemade tomato sauce, finished with cheese, pepperoni and dusted with cornmeal. For the Pizza Sauce: Pulse tomatoes and their juice in a food processor until pureed. Puree should not be completely smooth, and still have some chunks of tomato. Set aside. Combine butter and oil in medium saucepan and heat over medium-low heat until butter is melted. Add garlic, oregano, pepper flakes, and large pinch salt and cook, stirring frequently, until fragrant but not browned, about 3 minutes. Add tomatoes, basil sprigs, onion halves, and sugar. Bring to a simmer, reduce heat to lowest setting, and cook, stirring occasionally, until reduced by 1/2 (about 1 hour). Discard onions and basil stems. Season to taste with salt. Allow to cool and store in covered container in the refrigerator for up to 2 weeks. Transfer dough ball to lightly floured surface and knead once or twice by hand until smooth ball is formed. Divide dough into three even parts and place each into a 1 gallon zip top bag. Place in refrigerator and allow to rise at least one day, and up to 5. When ready to cook, start the Traeger grill on Smoke with the lid open until the fire is established (4 to 5 minutes). Set the temperature to High and preheat, lid closed, for 10 to 15 minutes. Turn single dough ball out onto lightly flour surface. Gently press out dough into rough 8-inch circle, leaving outer 1-inch higher than the rest. Gently stretch dough by draping over knuckles into a 12 to 14-inch circle, about 1/4-inch thick. Transfer to pizza peel that has been sprinkled with corn meal. Spread approximately 2/3 cup of sauce evenly over surface of crust, leaving 1/2 to 1-inch border along edge. Evenly spread 1/2 of cheese over sauce. Slide pizza onto baking stone and bake until cheese is melted (slightly browned) and crust is golden brown and puffed, 15 to 20 minutes total. Transfer to cutting board, slice, and serve immediately. Enjoy! 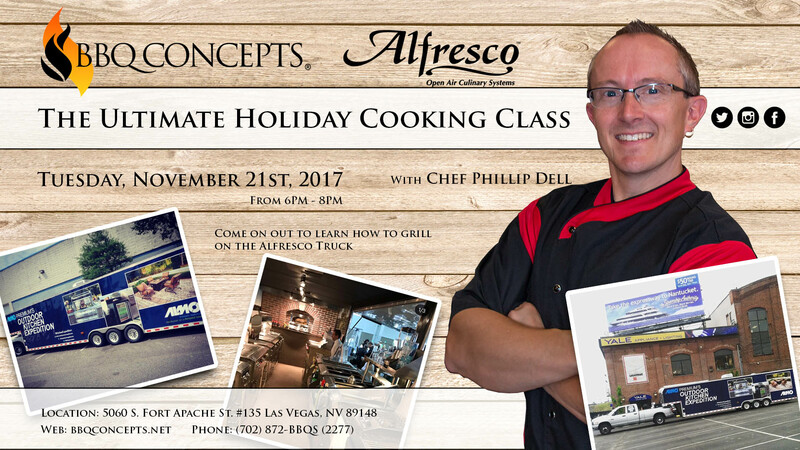 Sign up for the BBQ Concepts monthly newsletter to get the latest news on the barbecue grill industry, professional chef instructed class schedule, amazing recipes, BBQ grilling tips & tricks, and so much more.